Mama Nibbles: Enter to Win The 2013 Tropical Trio Sweepstakes! 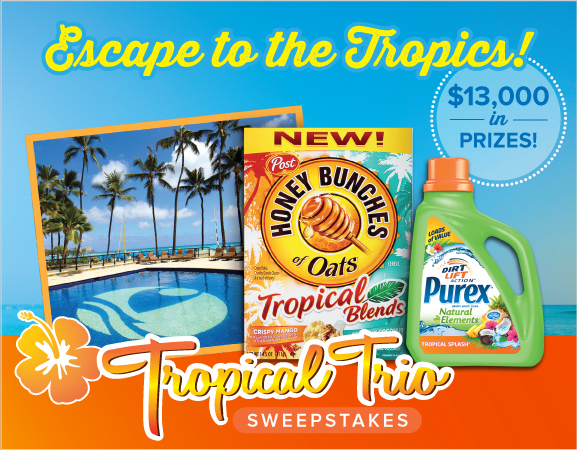 Enter to Win The 2013 Tropical Trio Sweepstakes! My family loves any kind of fruit. Put a plate of fruit on the table and it will be gone within minutes, I swear the kids inhale it. A recent favorite has become mango. Within the last two months we have gone through several bottles of a popular mango smoothie brand. Just recently I was at a friend's home for lunch and she had cut up a perfectly ripe mango. After I tasted her fresh one I immediately ran out and bought a few. Mango is just so delicious and really good for our bodies. I was reading an article the other day that talked about how mango can help lower cholesterol because of the high levels of fiber, pectin and vitamin C. I also read that it can help you have healthier skin with less pimples. Mango can also give your immune system a boost and help to improve your digestion. So it's a really good thing that Post decided to incorporate it into their cereal! Now there is a yummy new cereal from Post Honey Bunches of Oats and it contains mango too! 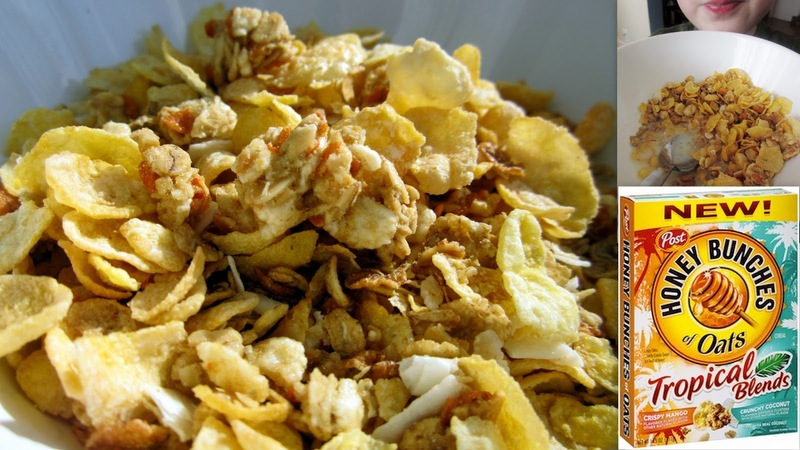 The cereal is named Honey Bunches of Oats Tropical Blends and we are absolutely hooked. The crunchy little pieces of mango and coconut are accompanied by those delicious flakes, bunches and bits that the Honey Bunches cereals all have. It's certainly a delicious way to begin your day and a delicious heart healthy, low calorie snack if you get hungry anytime of day. Click below! Click below! Click below! Enter the sweepstakes to win a tropical escape! One lucky winner will be sent on a tropical paradise vacation to Outrigger Waikiki on the Beach, courtesy of the Purex® brand, Honey Bunches of Oats, and Outrigger Hotels and Resorts! Enter to win a chance to spend your days relaxing underneath the warm, Hawaiian sun and your nights exploring Waikiki’s never-ending nightlife.